Who’s your daddy? — sang the Zombies in their 1967 hit Time Of The Season. Then came Ray Winstone in Scum in 1979, he was certainly the daddy. Fast forward to 2018 and who’s the daddy? Secure AWS-native data protection company Cloud Daddy thinks it could have the answer. Available on the AWS Marketplace, this so-called ‘solution’ (Ed – yawn, aren’t they all?) is intended to coalesce backup and disaster recovery, advanced security as well as infrastructure management into one total package. Cloud Daddy founder and CEO Joe Merces, does not, mercifully, call himself the Cloud Daddy daddy. He does however claim that his firm’s move to become a unified AWS-native solution reflects the changing IT landscape. As part of this new, we also note that AWS specifically calls out a ‘Shared Responsibility Model,’ where AWS is responsible for security of the cloud, but the customer is responsible for security in the cloud. 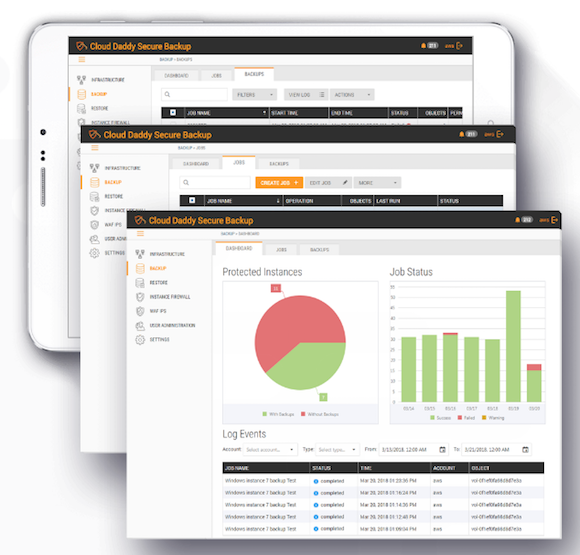 Cloud Daddy says that its Secure Backup gives users an at-a-glance understanding of their AWS infrastructure, navigated by tabs and incorporating a dashboard with a visualisation of protected instances and job status. Users can select backups and replications quickly and easily, anywhere on the globe where AWS has a presence. Assets can be backed up, managed and recovered from one AWS region or account to the other, providing layers of disaster recovery with superior restore speeds using AWS over on-premises solutions.